I still have those days, to be sure, but one tool has really helped me manage it more efficiently: loop scheduling! 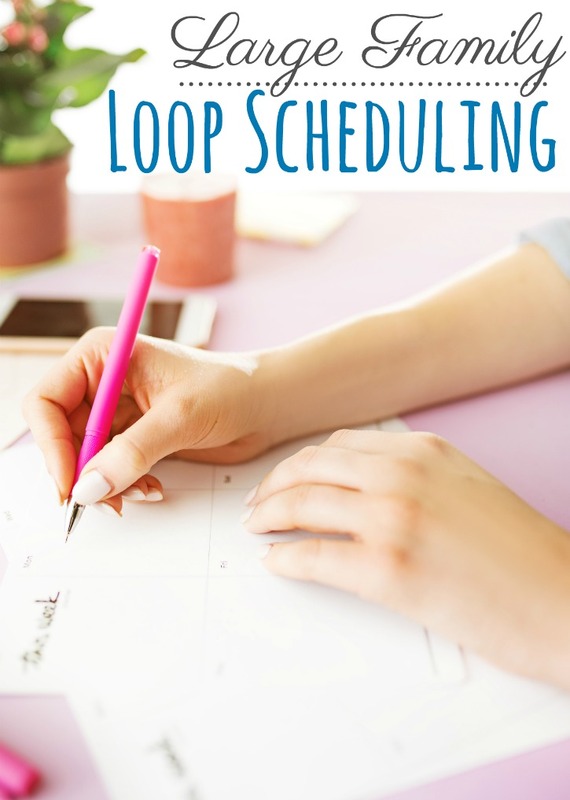 You may have heard of loop scheduling before, especially if you’re a homeschooler. Well, the great thing is that loop scheduling can be used for a LOT of our work as large family moms! I first tried out loop scheduling (sort of by accident) with my homeschooling. The more that I refined my approach, the better I was able to quickly adjust it to our needs for that week’s set of lessons. It was so successful, in fact, that I had an “aha” moment and thought, why not find a way to use loop scheduling for all the areas I struggled to keep up with? So I set about trying just that. 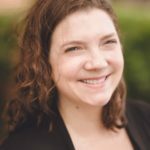 I’m constantly changing things up and tweaking our system with life and family changes, but I can tell you that loop scheduling has been a game changer for me. It’s worth trying out! That’s pretty much it! All of my schedules have a short list of 5-7 “Daily Do” items that are to be completed every day, and another list of “Loop de Loo” items that you rotate through and do one each day (or however many you specify) . Of course! Like I said, this is the first area where I used loop scheduling and ii that been such a blessing! 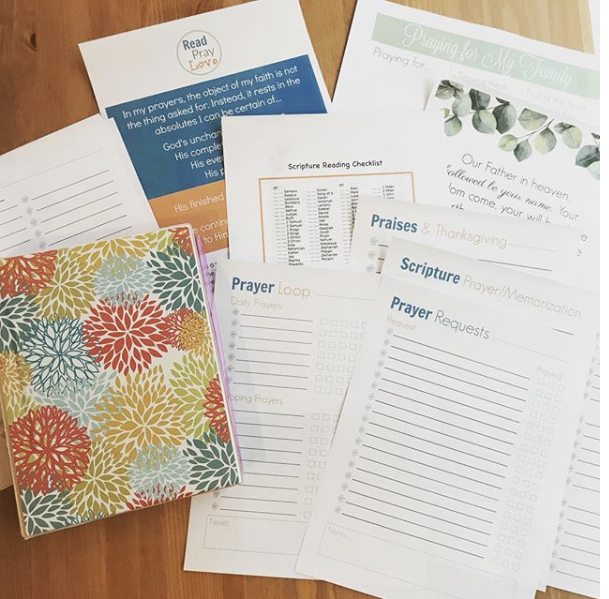 I have a loop schedule for our Morning Basket time that I use to allow us to get our necessities like Bible and memory work done, and then a loop with wonderful resources we can select from throughout the week. My oldest 4 each have loop schedules of their own tacked to the wall by our dining room table. Depending on their ages, their Daily Do’s are things like chores, math, reading, writing, etc. Their loops have items such as research projects, alternating notebooking and cursive practice, narrate a reading challenge, or work on an independent project. Getting my housework in oder was a huge win for loop scheduling! I have my short daily list of things I have to do (I make sure that things I actually NEED reminders to do are on that list), and then I have a looping list that allows me to get other tasks done on a 1-2 week rotation, such as sanitizing, cleaning couches, organizing clothes, dusting, tidying books, deep cleaning a bathroom, etc. I’m even able to tackle spring cleaning year round, 1 task at a time, by incorporating it into my loop schedule. I realized that I could even manage my prayer time with loop scheduling. There are certain things I pray through every day, and of course I pray as the Spirit leads, so my short list doesn’t really need to be written out. But I do have prayer requests to go through.Each day I go to where I’ve written down prayer requests and choose a handful to spend time in prayer over those things, checking a box next to it I try to come back around to that prayer 3 or so times before I see if I feel I can stop praying for that item. My looping list for prayer includes the long list of things I would LOVE to pray for but often forget about. I might focus on one particular child that morning and pray as God leads me to, for the missionaries we support, for an extended family member, for my marriage. Now I know that I will at least get to those things and spend some time with the Lord in conversation about those things. We have 6 kids and we want to try to spend some special 1:1 time with them at some point. Nothing flashy, but some time alone running errands, taking a walk, or some other activity goes a long way toward building those relationships and providing pockets of time where they can talk to us uninterrupted by a busy household. But it’s hard! 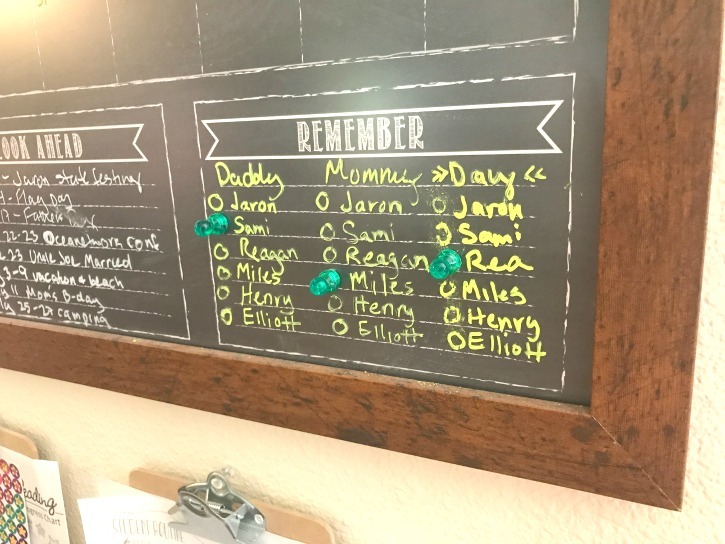 So we have a little spot on our calendar where we wrote out their names and we use a magnet to keep track of where we are in the loop of whose turn it is next time to go on a date with Mommy or Daddy. We also use this space for a loop to show who’s “day” it is, which is when they’ll be the helper at mealtime, pray for the meal, pick a show or audiobook, etc. There are so many ways to use loop scheduling and they can be as simple as needed, like our rotation of 1:1 dates, or more complicated with sub loops and varying task frequencies. The key is to keep playing around with it and tweaking as you go until you find the right fit! Find out more by checking out this video on how to use loop scheduling or downloading these free templates. 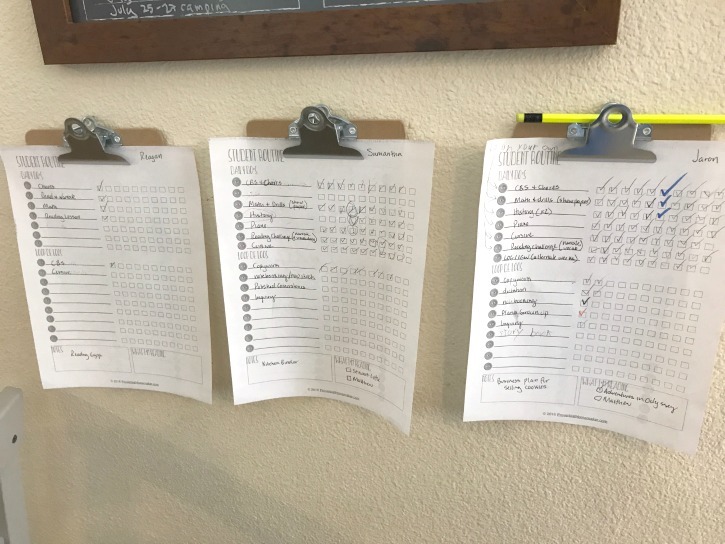 You can also enroll in our Loop Scheduling Workshop for more ideas and support! Go to the planning and organizing section in the Proverbial Homemaker store to get 20% off these two fantastic resources! Our popular Loop Scheduling Workshop helps you with templates and examples to set up loop scheduling for a variety of purposes and needs. It includes video lessons and an exclusive FB group! You will also love our Rhythms & Routines Homeschool Planning System! It includes a printable planner and a course that walks you step by step through how to use routines for homeschool planning and set up a system that works with YOUR family and personality, with fillable pages and various templates to choose from. Tauna is a Jesus follower, wife, mom, [domestically challenged] homemaker, homeschooler, and writer. Her passion is to help women pursue God’s call on their lives (no matter the learning curve) and rely on Him to equip us for the task! You’ll find her at ProverbialHomemaker.com, bringing you encouragement and tools for your journey.